With years of experience, we bring our customers a beautiful collection of Artificial Jewelery, Silver, Gold, Kundan, Diamond and Stone Jewelry. In our collection, we offer Silver Jewelry, Gold Jewelry and Diamond Jewelry. All these are brilliantly carved by our team of expert designers, who meticulously work on every detail. Also, we are constantly innovating with designs, so that we offer a collection that matches the taste of our customers. To design these jewelry items to the level of perfection, we have efficient cutting and polishing machines. These machines help us in providing an unmatched and flawless collection of jewelry items. To assist us in the entire production process, we have a hardworking team of members. These have rich experience, in this field and endeavor to provide a superior range of jewelry items. 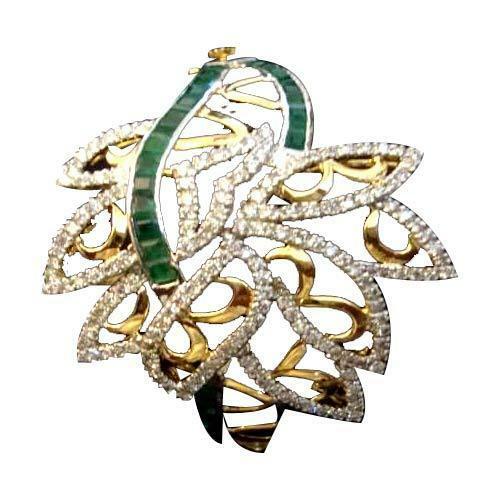 In this team we have quality controllers, who closely watch the intricacies involved with jewelry designing. Apart from this, we also provide our customers with customization facility with regards to shape, design and size, as per their requirements.